Travelling to or from Sweden? My Baggage can help you with your luggage. Effortlessly transport your excess baggage overseas with My Baggage. We offer a convenient door to door luggage collection and delivery service at fantastic low rates, helping you to save time and money on your travels. Sweden is a Scandinavian country situated in Northern Europe. It borders Norway to the west and north Finland to the east. 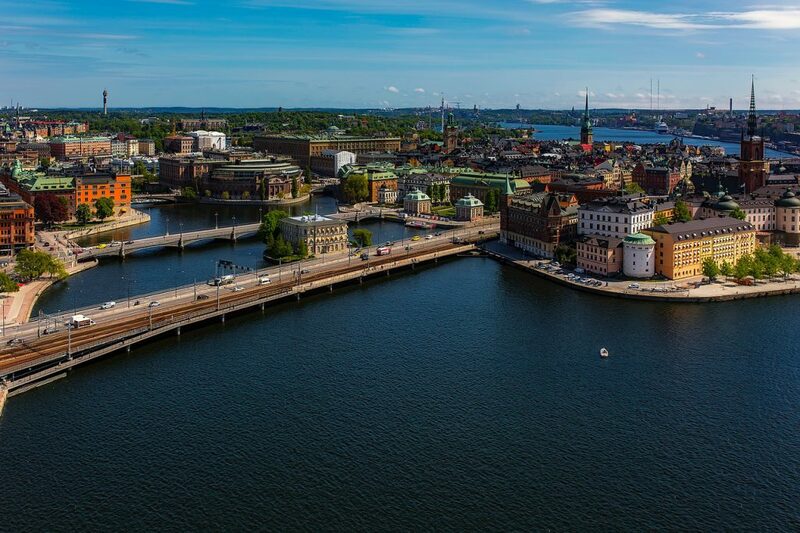 Sweden boasts a population of approximately 10.2 million. Whether you’re travelling to Sweden to explore what the country has to offer, to study abroad, or even to relocate permanently, there’s always the pressing question of how to transport your personal belongings there in one piece, and how you can keep costs as low as possible whilst doing it. The easiest option for getting your luggage from A to B is by carrying it with you on your flight to Sweden. However, not only do you have to contend with travelling long-haul with a number of heavy suitcases in tow, but those excess baggage fees can mount up fairly quickly if you’re not extra careful. Another option is hiring an international removals company, which is an ideal option if you have numerous large, bulky items that need transporting to your new home in Sweden. However, the cost of hiring an international removals company can be quite substantial, and depending where you’re coming from, it can be an exceptionally slow voyage, meaning you risk being left without your worldly possessions for an extended period of time. My Baggage offers a welcomed, affordable approach to transporting your luggage and heavy bags to your travel destination. By offering a convenient, door to door luggage shipping service, we make it our aim to remove all of the stress and costs involved, so you can wave goodbye to expensive airline baggage fees and out of budget removals. At My Baggage, we do understand that it’s only natural to feel some level of apprehension about handing everything over to a delivery driver. That’s why we strive to provide an international luggage shipping service you can trust. When you book with us, you can arrange absolutely everything from the comfort of your own home, and our door to door collection and delivery service means that your items will be collected straight from your front door and delivered straight to their destination in Sweden. We’ll always make sure that you are kept in the know. You will be given access to full online tracking information so that you can keep an eye on your shipment every single step of the way. You’ll even be notified when your shipment is out for delivery. If you happen to have any questions or concerns along the way, our dedicated customer support team will be there to help. You can contact us via phone, email and live chat. Although My Baggage specialises in luggage shipping, we don’t stop there. With My Baggage, you can transport all kinds of goods to Sweden, including sporting equipment, musical instruments and parcels. With My Baggage, you can send thoughtful gifts and care-packages to your loved one living overseas. Nothing quite beats a gift to let someone know you’ve been thinking about them. Before you go ahead with your booking, be sure to do some research into Swedish customs, particularly when it comes to sending gifts. Make sure to invest in a new, sturdy, double-walled cardboard box and cushion items with plenty of internal packaging, so as to avoid any damage occurring whilst in transit. You may wish to bring your musical instrument with you to Sweden, however, depending on its size, in order to do so, your airline may require you to book an additional seat on your flight. With My Baggage, you can avoid paying additional, substantial costs with your airline by transporting your instrument with us. 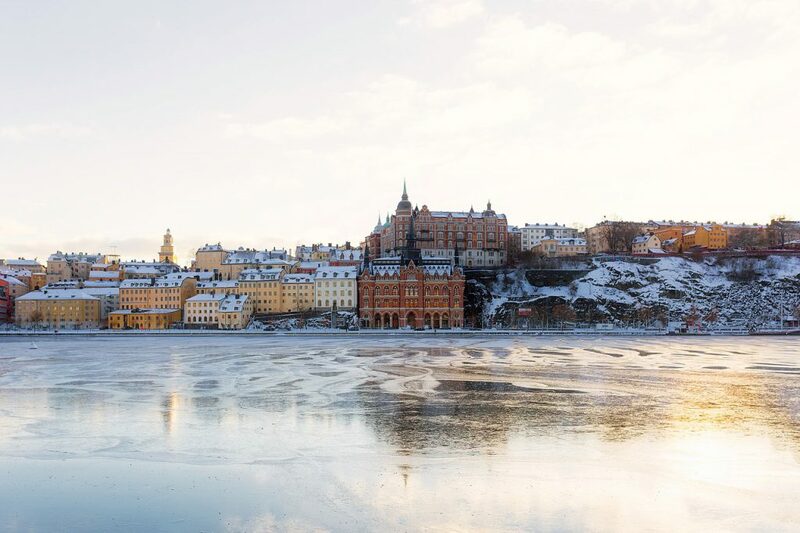 It may not necessarily be the first destination that you think of for skiing, but believe it or not, Sweden has a wealth of ski resorts for you to visit and enjoy the sport. If you’re off to Sweden for a sport-related holiday, My Baggage can help you to easily transport your large items such as skis or golf clubs to Sweden, erasing the worry of needing to rent equipment when you get there. Or worse, having to pay extortionate oversized or overweight baggage fees on your flight. Shipping large, oversized items to Sweden with My Baggage is cost-effective and convenient. We help you to avoid extortionate overweight baggage fees from your airline, as well as having to haul your bulky items from home and through train stations, taxis and airports. My Baggage transports your traditionally oversized items quickly, safely and for a great low cost. Do your research on Swedish quarantine and customs. My Baggage specialises in shipping personal effects anywhere in the world. Our convenient service gives you the opportunity to ship almost everything you would typically find in a standard holiday suitcase. However, it is important to keep in mind that due to security and customs, there are certain items which are prohibited and cannot be carried. Please note that import allowances, security and customs processes differ all around the world; we recommend that you do your own personal research into what may be prohibited in your destination country before booking your shipment to Sweden. When sending your belongings to Sweden with My Baggage, we recommend using either suitcases or strong cardboard boxes to package your items so they are suitable for transit. Generally, My Baggage shipments clear customs in a timely manner, free from duties and taxes, as most countries offer a generous duty-free allowance for personal effects. However, as customs processes and allowances differ around the world, we do advise doing your own research into Swedish customs regulations before booking your shipment. Please make yourself aware of any potential customs duties in Sweden. My Baggage can help you to save both time and money on your next journey. And booking with us couldn’t be easier! Our online booking system is available 24/7. Simply start by obtaining an instant quote straight from our homepage. Our service is designed for your convenience, so you’ll be given the flexibility to choose your preferred collection date at the point of booking. Once you’ve booked, we’ll send you shipping labels to print and attach to your items. After that, we’ll take care of the rest. Thanks to our efficient online booking system and convenient door to door collection and delivery service, you have more time to enjoy your travel experience. As well, we pride ourselves on our fantastic low rates. In fact, you could save up to 80% when you choose to ship your luggage with My Baggage, instead of going to the courier directly.